The OptiFlow is the newest innovation in continuous flow hot water by Bosch. The Bosch OptiFlow range is redefining the modern hot water system. 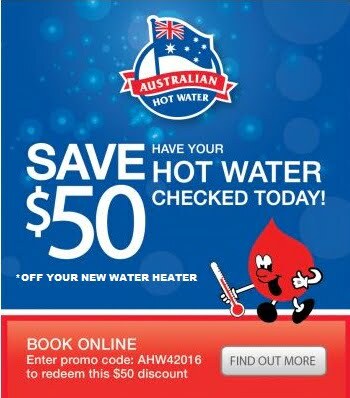 It is Australia’s first continuous flow hot water system that constantly adapts to its environment. The OptiFlow Combustion Management System and ‘Easy Minimum’ technology ensures peak efficiency is achieved in all conditions, while delivering a stable hot water temperature for ultimate user comfort. Fire and water do mix. The Bosch Tronic has dual handed connections, durable vitreous enamel lined steel tank, is suitable for internal and external installations. 80L to 400L models available with slimline design, 7 year cylinder warranty and complete range of element sizes. 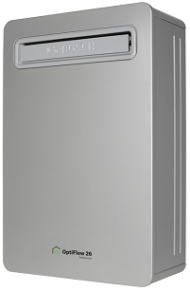 The Bosch standing pilot range of gas hot water heaters are perfect for a continuous and instantaneous flow of hot water. Capable of providing from 10 to 16 litres per minute, this external range will suit most domestic applications. Bosch commercial system requirements are designed to meet the high demands of large volumes of continuous hot water. Comprising heavy duty continuous flow and storage systems, Bosch can provide a custom solution for your commercial hot water application. The Bosch range of hot water system accessories caters for the extra needs of today's modern consumer. Accessories include optional Bosch temperature controllers, Lockable recess boxes, Fully enclosed recess boxes, pipe covers and more to enhance your water heating experience.